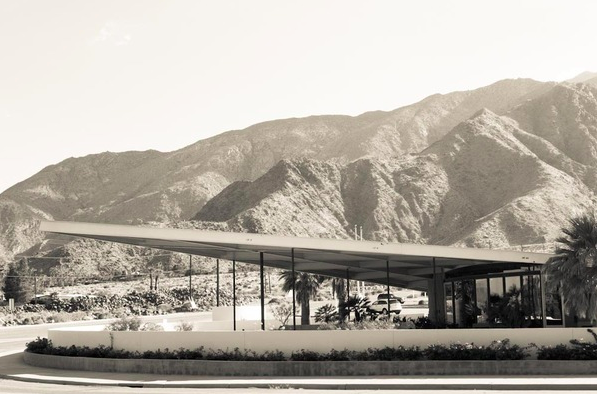 The Tramway Gas Station is a landmark former Enco service station in Palm Springs, California, USA, so named because of its location at the foot of Tramway Road, the lone road leading to the base of the Palm Springs Aerial Tramway. 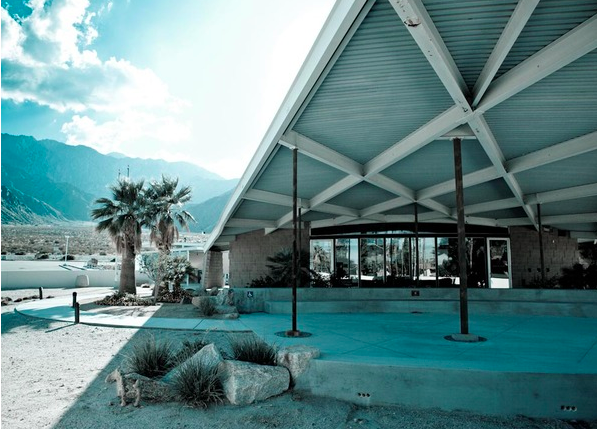 It was intended to be the first Palm Springs building visitors saw when approaching the city from the north via California State Route 111. 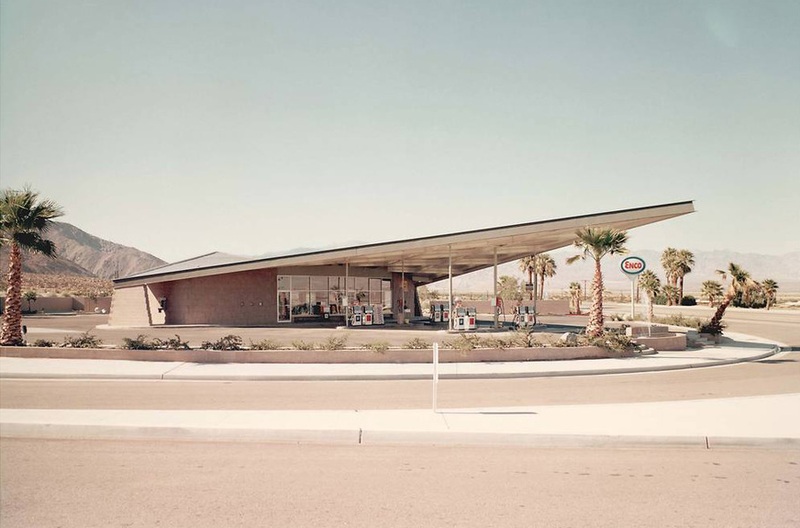 The building with its distinctive, cantilevered, wedge-shaped canopy (referred to as a hyperbolic paraboloid on a historic marker mounted on the building) was built in 1965 and was designed by Albert Frey and Robson C. Chambers. It is considered to be a prime example of modernism in architecture. The station had closed by the mid 1990s and its fate was in doubt until its purchase by a private interest who erected a wall around the property and converted it into an art gallery. 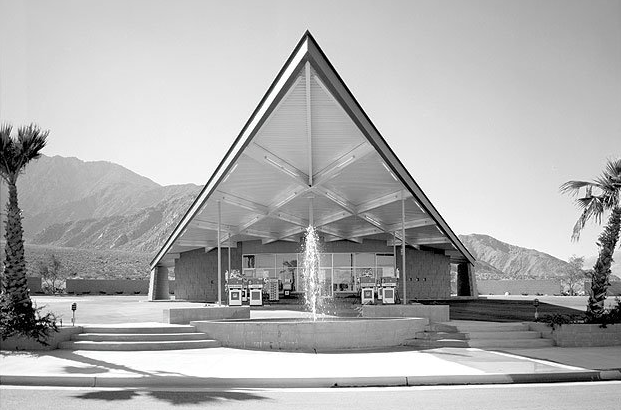 It serves today as the Palm Springs Visitor Center. .